Do you like free things? 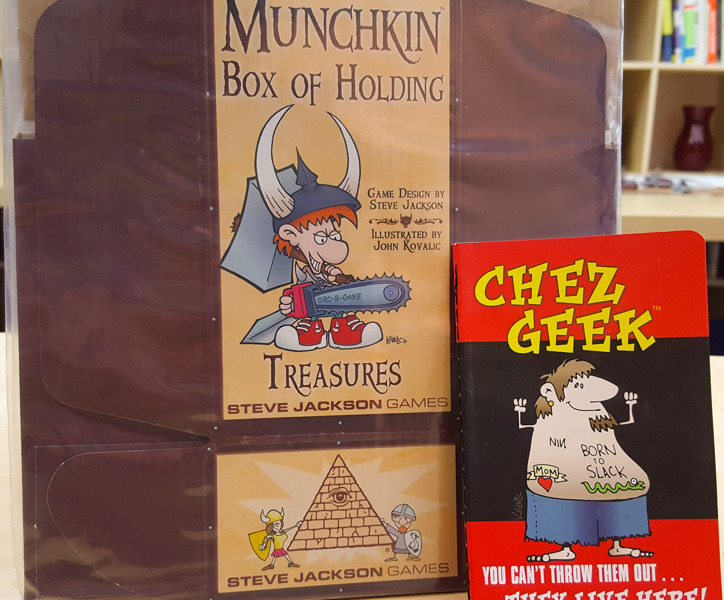 Do you like Chez Geek and Munchkin? If you answered no to either of these questions, I don't know why you clicked on this, because the title mentions all of that. However, for your true believers, we have a couple of awesome deals for you on Warehouse 23 right now! For the dedicated slackers, with any Chez Geek purchase you'll get a free Chez Geek Journal, while supplies last. Keep track of all your Nookie, or make grocery lists. Or both, I won't judge. We didn't leave dungeon delvers out! Beginning now, and until May 31st, when you include any one Deluxe size or Guest Artist Edition Munchkin game in your order, we'll throw in a set of Munchkin Boxes of Holding for free. This offer doesn't include Munchkin Treasure Hunt or Munchkin Quest. These offers are while supplies last (or ending May 31st for the boxes), so hit up Warehouse 23 today!